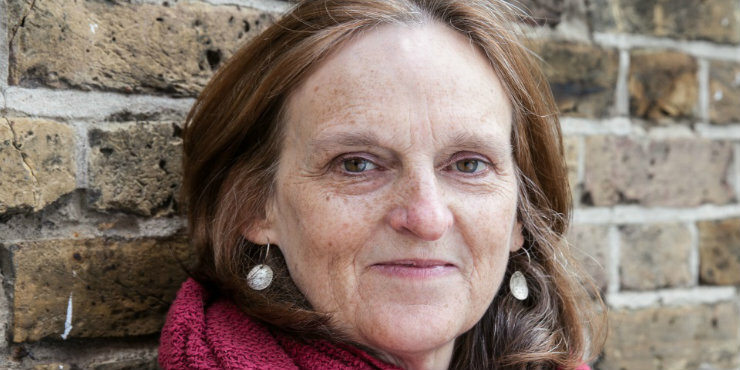 Tessa Hadley is a British author of novels, short stories and non-fiction. She won a Windham Campbell Award in 2016, the Hawthornden Prize in 2016, the Edge Hill Prize in 2018, and has been twice longlisted for the Orange Prize. Her latest book, Late in the Day , is published in February. Where to begin? I was bookish as soon as I knew how to read. Our local library, where I went with my family - and with junior school too, every week - was formative in making a passionate reader of me. I think it was when I promoted myself to reading adult books, climbing audaciously up three steps covered with yellow linoleum in the library to the adult section, that I began to be aware of a relationship to the writers of the books as well as to the stories and characters inside them. I was drawn to the novels of Elizabeth Bowen, an Anglo-Irish writer of the mid-twentieth century, at first because I liked the atmospheric woodcuts on the covers. These woodcuts conjured up the mystery of past interiors, intimate and inviting yet uneasy. Her books were too sophisticated and subtle for me to understand them properly when I was only thirteen or fourteen, but nonetheless I loved something about them, they fascinated me. I think their intricacy and the oddity of her sentences was like a promise to me, that real life was as intricate and complex as this writing. There was something in Bowen’s pages which was alive and vivid, compelling, even if it wasn’t clear to me just what was happening. I wanted to grow up then. I needed to learn to understand everything going on. 2. Your most recent book is Late in the Day . Can you tell us a little bit about it and how you came to write it? I’d wanted for a while to write something about long marriages. Marriages nowadays last longer then ever in history, in spite of the availability of divorce, because in the past they were mostly ended by death. And the idea of following a couple tangled together over decades, even as each individual changes out of all recognition – that’s perfect material for a novelist. So I imagined two couples, closely intertwined, perhaps too closely, their configurations changing over time. Then I imagined a disaster striking when they were in their fifties – one of the men dies. That’s shocking and sad – and it throws everything, all their old patterns and their history, into confusion and darkness. New forms emerge in time, for the three that remain. 3. How do you balance your work as a lecturer in creative writing with your literary career? Easily, but that’s partly because I haven’t taught full time for years. I’ve always liked the contrast between the solitude necessary for writing and the sociability of teaching. Without making an effort, I seem to be able to keep these activities separate, watertight - in a good way. The writing is a very private thing. Until it suddenly isn’t, of course: until I’m asking everyone to read the book I’ve conceived and developed in such a secret space! 4. You are also a successful short story writer. Do you approach all your writing in the same way, or do you have a different mindset for the shorter form? There is a difference. Novels will fill up your writing life for a couple of years at least, once you’re properly embarked on one. By the time you’re two thirds through, it’s as if you’re hauling a whole world behind you. You mustn’t leave anything behind and you must follow the road you embarked on, through to its right end. It’s involving and absorbing and I love it, but by contrast there’s something wonderfully irresponsible about a short story, which feels like a place for experiment, playfulness. 5. What is on your ‘to read’ list? Over the last couple of weeks it’s been Christmas and New Year and we’ve been with family and friends – somehow in the spaces around that I’ve needed to read, and I’ve retreated to the bedroom, devoured a couple of superbly sombre books which had waited on my bedside table for a while. I didn’t choose their sombreness deliberately: but it did work as a marvellous counterpoint to the Christmas noise and cooking and family mediations (my parents and aunt and uncle, all in their eighties, as well as my sons and my grandchildren!). I read Colm Toibin’s The House of Names , based on the Agamemnon story. And The Notebook , a little novel from the sixties by a Hungarian writer, Agota Kristof. They are both bleak books. But actually bleak stories don’t make me feel bleak, if the writing is brilliant and invigorating and mind-changing. Bad writing depresses me, not sad stories. The sadness is bracing, the reader recognises it and embraces it, rises to the occasion. 6. Has a book ever changed your life or made you think differently? All the books that have mattered to me have changed me. Reading seems to me to be continuous with all the other experiences in my life, it’s real as they are. I’m sure I’ve made some crucial life decisions based on the novels I’ve read: when I was young I was saturated with D. H. Lawrence, and lived accordingly, which was rash – but I don’t regret it, his instincts are brave and vivid ones, he’d never make you choose something stupid or numb. Fiction, with its ambivalence and subtlety and its close observation of the contradictions in people, seems as good a place to learn from as anywhere. 7. Do you have a message for your many readers in Suffolk libraries? A comradely message, sharing with them the joys of reading, so glad that these joys seem to endure in the face of all the temptations. Escaping into a book isn’t escapism. The huge efforts of imagination that it takes, to leave your own singular self behind – how can these not be significant, liberating? Reading frees us from the constraints of ourselves, opens us up to the world and history, helps us attend to what’s outside our own limited experience. But perhaps that makes it sound too virtuous. There’s the sheer joy of dreaming too, of letting go responsibility and routine, taking the long view. 8. Can you tell us one thing your readers may not know about you?